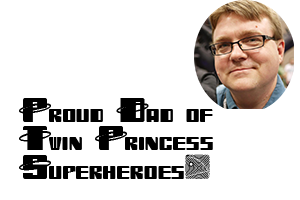 From the first publication of their flagship board game Twilight Imperium, Fantasy Flight Games have been succeeding at balancing the two most difficult tasks that game publishing companies face. There is often a tension between managing a company effectively -- actually treating the business as a business -- and the publication/creation of high quality games. If a company pays too much attention to making games that fit trends, and thus might sell well in the short term, they run the risk of alienating players due to the decreasing originality of their own products. If they ignore the financial aspects of the industry, they will slowly grind to a halt and fail to produce product that fans have eagerly awaited for years. Fantasy Flight has done neither of these, much to their credit. They have a proper balance of pushing new creative envelopes in game design, and extending on great design ideas. A quick look at the history of the company shows that they have created some innovative games like Disk Wars and Twilight Imperium, but that they have been savvy enough to end a product line before it ended the company. Ever since I first read that Fantasy Flight had been granted the license to create games based on Games Workshop intellectual properties, I have eagerly awaited each new entry produced by the company. Fantasy Flight have managed to release a nice balance of reprints/revisions of classic GW boxed games like Fury of Dracula and producing new games based on a previously used themes like their excellent Horus Heresy and Warhammer Fantasy Roleplay 3rd edition games. Last year, Games Workshop did a limited release of a revised edition of their classic Space Hulk tactical board game of Space Marines fighting sinister aliens. The new release, an update of the 1st edition of the game that ignored changes made during the second edition, was available for a very short time and is currently sells for somewhere between $100 and $150 on eBay (still fairly close to list price). $150 can seem a pretty steep price to pay for a tactical board game -- even one as high on replay value as Space Hulk -- and one sometimes finds oneself in the mood to play a game when there is no one available for a quick table top game or with more friends hanging out than the two required for Space Hulk. The movement rules in Space Hulk do allow for solo play, but the game is better with two players. For my money, I'll current play Dennis Sustare's Intruder over Space Hulk as a solitaire game -- it's more portable and plays quicker. This will likely change in the coming months. 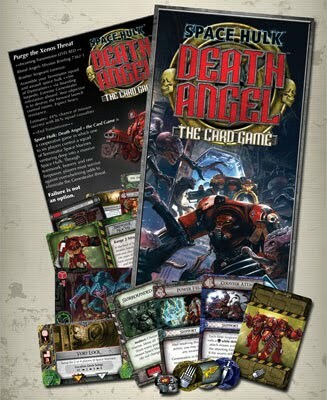 Fantasy Flight Games has announced that they will be releasing a new cooperative card game, designed by Corey Konieczka, entitled Death Angel. 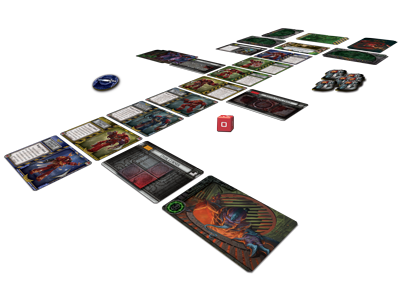 Space Hulk: Death Angel - The Card Game is a cooperative card game set in the grim darkness of Warhammer 40,000. Players must work together as an alien menace threatens to devour their hopes of survival. If all Space Marines perish, the players collectively lose. Likewise, if at least one of the surviving Space Marines completes the objective, the players all win! Playable in under an hour, Death Angel takes 1-6 players straight into the action. Each player takes control of a combat team (or two combat teams if playing with less than four players). If playing solo, the single player controls three combat teams. Combat teams are made up of two unique Space Marines, each with their own flavor and style. A quick playing cooperative card game that emulates the grim darkness of the 40k universe? Hi there! You wouldn't happen to be interested in joining our blog network would you ?